1)	Ethos: the respect for, responsibility to and gratitude for the other species on Earth. 2)	(Re)connect: the understanding that people and nature are interconnected. 3)	Emulate: integrating the principles, patterns, strategies and functions found in nature into practical designs. Michael Phelps’s swimsuit, Frank Lloyd Wright’s homes and even jets were inspired by things found in nature. The designers took qualities in fish, the Sonoran desert and birds to make those products more efficient or beautiful. 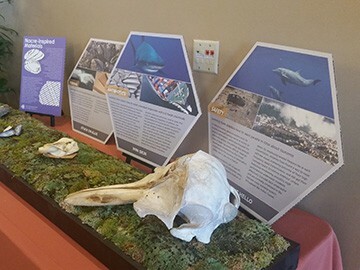 Arizona State University plans to take that concept ¬– called biomimicry – and teach students to identify, study and design products based on natural innovations. 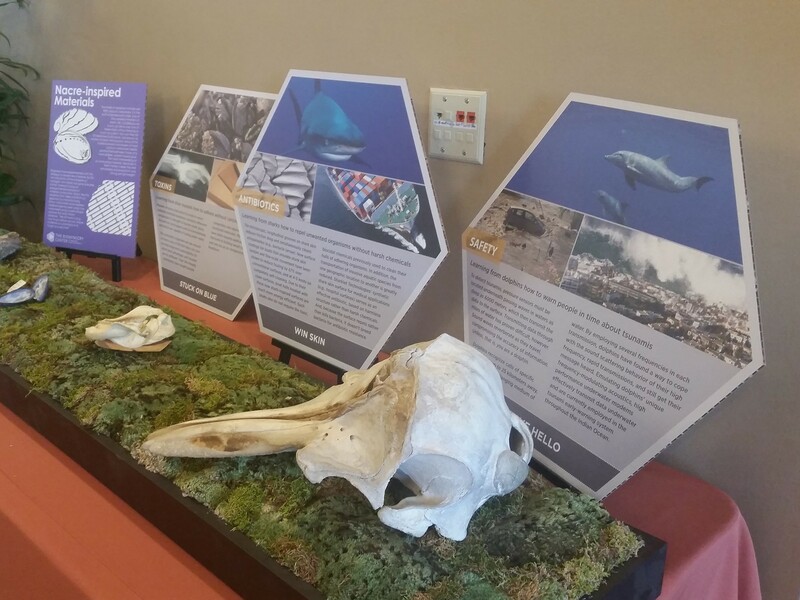 The university launched its Biomimicry Center in Tempe on Tuesday. Biomimicry uses nature to solve human design and sustainability problems. Though the field has attracted recent interest, it is actually older than most high-tech disciplines. Even Leonardo da Vinci studied biomimicry, Baumeister said. The Biomimicry Center will offer the first master’s degree in the field, and students also can earn a certificate through online courses. The center will be housed at ASU’s Tempe campus. ASU teamed up with Biomimicry 3.8, a Montana-based organization co-founded by Baumeister, to launch the program. The firm provides training, consultation and outreach to institutions worldwide. Over the next five years, ASU plans to invest $3 million in the center, which will focus on biomimicry but work with other disciplines, including architecture and graphic design. The Biomimicry Center will focus on three main areas: sustainability, additive manufacturing (helping people make their own, sustainable materials) and molecules (chemical and other designs that can be derived from nature). The center has yet to begin working on any specific projects. According to a 2010 study funded by the San Diego Zoo, biomimicry could become a $300 billion industry and generate 1.6 million jobs in the United States by 2025. Baumeister, Cash and their colleagues said the possibilities are endless. “We have barely begun to scratch the surface of what nature can offer,” Baumeister said.